Where installations require a simple hardware controller, the 9012 provides an instant solution for volume and source select functions (for example). 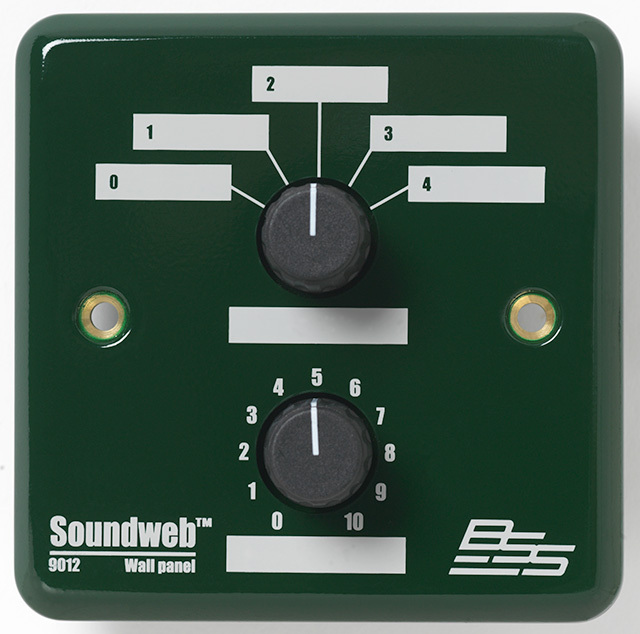 The 9012 is equipped with a rotary fader and a five-position switch, connecting to the control port inputs on the rear of a Soundweb 9088 or 9000 device. These controls may be mapped in Soundweb Designer to utilise other functions. The 9012 is provided along with a set of multi-purpose lables, in four languages - English, French, German, and Spanish. Please Note: The 9012 is still available in a US-style single-gang light switch fitting, finished in beige to match many types of decor.